Join us Friday, June 28th through Sunday, June 30th as we celebrate our 50th Anniversary! The Blaine Festival is an annual community celebration with weekend-long events for the whole family. Join us at Aquatore Park (corner of Hwys. 65 & 10) showcasing a wide variety of entertainment with something for everyone. 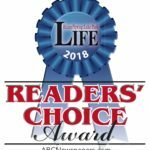 The fun kicks off Friday at 5:00 p.m. and runs through Sunday at 6:00 p.m. Events includes a carnival, crafter/business fair, civic tent, petting zoo, magician, recreational activities, food, and live bands plus much, much more! Thanks to the MetroNorth Chamber. 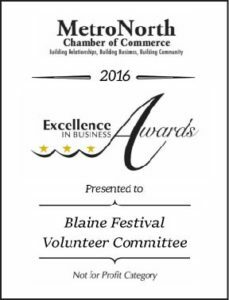 . .
for honoring the Blaine Festival Volunteer Committee with the 2016 Excellence in Business Award in the Non Profit Category! Thanks to Coach Matt and the rest of the coaching staff and most of all the football players for helping the Blaine Festival Volunteer Committee set up & take down the fencing and the tents for the Blaine Festival!! 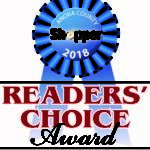 Charitable gaming funds from these locations not only support the annual Blaine Festival but the Anoka County Community as well. Donations are made to community organizations for youth programs, education, fire safety, cancer research, battered women’s shelters and services for the elderly. Volunteers are a huge part of the success of the festival! The Volunteer Committee is always looking for people that have a few hours a month to spare. There are many opportunities available, and fresh ideas are always welcome. To volunteer, please send us a email at info@blainefestival.org. In addition school groups, community organizations, and associations are always welcome to help with events at the festival. If you would like to be a part of the Blaine Festival Volunteer Committee, please contact us at info@blainefestival.org.